“He has given us his very great and precious promises, so that through them you may participate in the divine nature, having escaped the corruption in the world caused by evil desires.” (2 Peter 1:4, NIV). 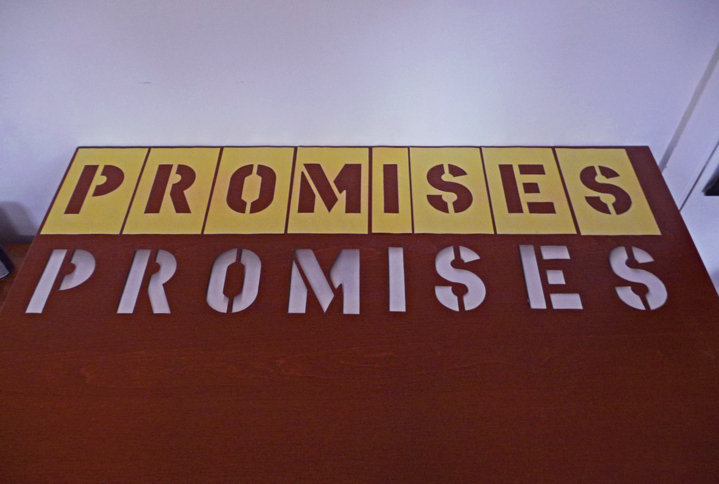 When we hear the term “Bible promises,” we tend to think of blessings or things God gives us. God certainly blesses and gives us things. But Peter has something far greater in view: participating in the divine nature. God’s promises are not an end in themselves, as if their purpose was fulfilled in God giving us some thing. God’s promises are the medium through which we commingle with God’s personage and are transformed into the same “stuff” He is made of. Paul says, “For no matter how many promises God has made, they are ‘Yes’ in Christ” (2 Cor. 1:20). In other words, Christ is the substance and reality of every promise spoken in the Bible. If we do not know Him through a promise, we have not comprehended that promise. And if we do not know Him through a promise, that promise is no longer a vehicle through which we may participate in the divine nature. Let’s look at one example from Psalm 133, verse three: “It is as if the dew of Hermon were falling on Mount Zion. For there the LORD bestows his blessing, even life forevermore.” It is possible to walk away from this verse seeing life forevermore as a thing that is promised and that God gives us. Eternal life certainly is a wonderful blessing that is promised us. But there is reality in this verse beyond God giving us something. The verse says, “For *there* the LORD bestows his blessing, even life forevermore.” Where is “there?” “There” is Mount Zion, the site of the Lord’s temple. So the blessing of life forevermore is something only given in the Lord’s temple. Paul writes, “In [Christ] the whole building is joined together and rises to become a holy temple in the Lord. And in him you too are being built together to become a dwelling in which God lives by his Spirit” (Eph. 2:21-22). Here we find the substance of Psalm 133’s promise. God is joining us to Christ and to each other as His own temple, His dwelling. *There* He has given life forevermore. Or, as John says much more simply, “God has given us eternal life, and this life is in his Son” (1 John 5:11). What a difference it makes to see Christ as the substance of the promise in Psalm 133. We no longer see eternal life as a thing God gives. Instead, we see the divine pattern of temple relationship in Christ: “May they all be one, as you, Father, are in Me and I am in You. May they also be one in Us” (John 17:21, HCSB). This changes our approach to God’s promises. They become spiritual realities to which we conform rather than divine products we consume.